The European Council of Optometry and Optics (ECOO) is delighted to announce the publication of its third edition of the Blue Book. The Blue Book is a valuable aggregation of data on the professions of optometry and optics in countries across Europe. It is the only publicly available compilation of data that offers a comparative and comprehensive view on these two professional groups across 30 countries. Information is gathered through surveys filled in by ECOO members and partners. The Blue Book showcases the unique profile of each country and at the same time visualises the scattered professional landscape throughout Europe. The varied scope of practice of opticians and optometrists in Europe is the result of the training available, the applicable law, the organisation of the professions, their independence, relative size and political weight. With the rising cost of medical care and decline of the number of ophthalmologists in some countries of Europe, we see a trend that primary eye health care is transferred increasingly to optometrists and opticians. This development is also supported by the data in this Blue Book. Since the last edition in 2015, the number of opticians and optometrists in Europe increased in many countries and we also see an increase in the number of students qualifying. 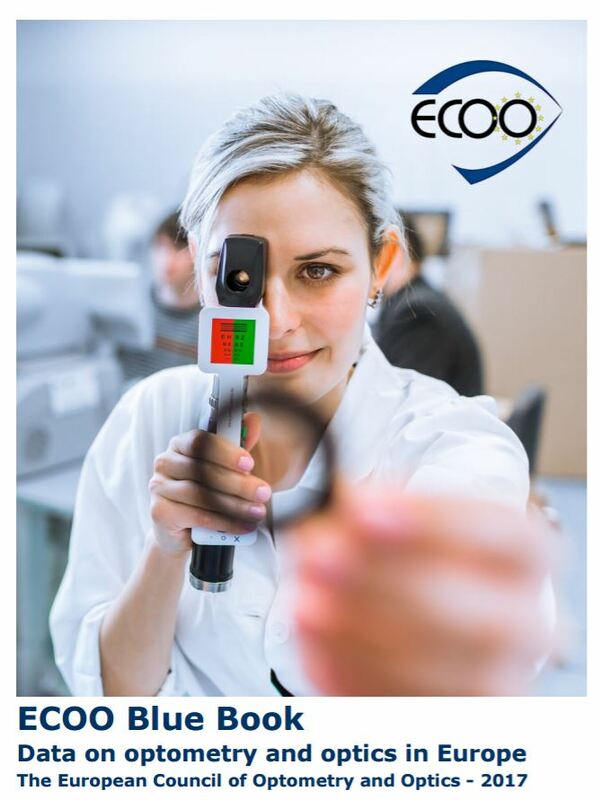 In this context, ECOO is pleased that increasingly more universities are being accredited with the ECOO European Diploma in Optometry and the Qualification in Optics, which contributes to this positive development. “The previous edition of the Blue Book has proven to be a valuable source of information for many stakeholders, academics and institutions. To continue informing about the professional landscape and to provide input to policy developments at EU and national level, ECOO is pleased to present an updated version of the Blue Book, which now covers 30 countries and is the only compilation of data of its kind in Europe.” says Fabienne Eckert, Secretary General of ECOO.